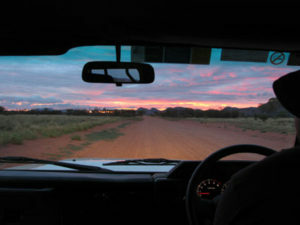 This was the scene a number of years ago as we headed out west to work in the APY Lands of South Australia. Now, in a special exhibition at Nancy Sever Gallery in Canberra, the products of this and many other similar workshops I’ve run in Northern Territory, South Australia and Western Australia will be on show from this Wednesday, June 20! This is a unique opportunity to view recent original etchings, woodblock prints and silkscreens direct from 6 art centres in Turkey Creek (Warmun), Ramingining, Beswick, Tiwi Islands, Kalka and Indulkana. THERE ARE LIMITED NUMBERS OF EACH PRINT SO COME EARLY!